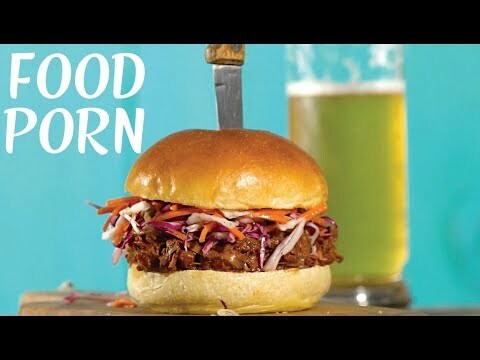 TORONTO, Oct. 17, 2017 /CNW/ - Say hello to vegan food you'll actually want to eat! 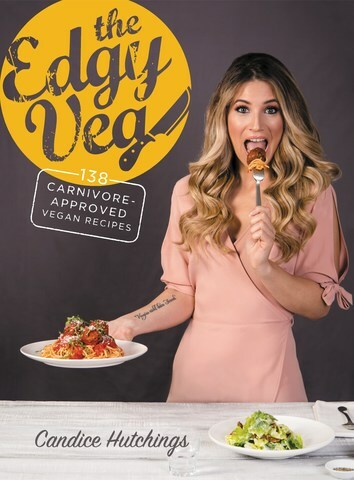 Candice Hutchings, the host of YouTube sensation The Edgy Veg (with over 250,000 subscribers and 630,000+ monthly views), has released her first cookbook filled with 138 recipes that revolutionize vegan food as we know it. The cookbook is now available wherever books are sold! Tired of a traditional plant-based diet that just felt frankly #sad, Candice started veganizing childhood cravings, fast food faves and food-nerd obsessions. Think UnOrthodox Lox and Cream Cheese Bagels, Cobb Your Enthusiasm Salad, Buffalo Cauliflower Wings 7 Ways, Easy Cheesy Fondue, Chick Fillet Deluxe and Thank You Very Matcha Ice Cream (fear not salad lovers, there is a token kale salad!). No type of food is off limits and everything in the book has received the signature carnivore stamp of approval from her husband James and their friends and family. You'll find brunch staples, munchies, not-boring salads, cocktails, sweet endings, more mains than you can count and everything in between. Candice also breaks down the essentials on how to make meat and dairy replacements that are so good you won't even miss the real thing. She also offers extensive advice on how to stock a vegan kitchen and pantry, which both experienced chefs and first-time vegan cooks will love. With recipes that take vegan cooking to the next level, tips and tricks for eating like an Edgy Veg, and more dad jokes than you can count, say hello to a vegan cookbook that you — and your tastebuds — can feel good about. It's time to put down that spiralizer and get ready to have your cake, burger and fries, and eat them too! Candice Hutchings is the host, chef and resident food scientist of The Edgy Veg YouTube channel that she co-founded with her husband James Aita. It caters to comfort food-loving vegans with a sense of humor. The couple live with their two rescue dogs, Sir Winston Churchill and Harley Quinn.